Any time there's a brand new product on the market like the Lasso Healthcare MSA, there's a learning curve. How will I market this thing? What are some of the nitty gritty details I might not get in a high-level overview? We understand all of those feelings, especially when it comes to the Medicare Medical Savings Account (MSA). It's so different from anything else on the market today. 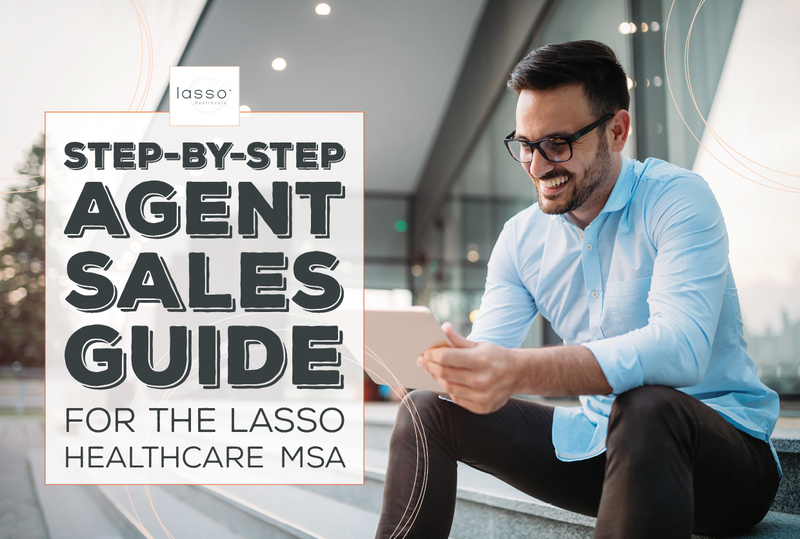 That's why we've put together this step-by-step agent sales guide for the Lasso Healthcare MSA. You'll learn how to get contracted, how to fill out the e-app, and everything in between. For starters, there's no point in learning all of the details of this MSA product if you can't sell it. The Lasso Healthcare MSA is currently available 17 states with more to come. She's going to make the contracting process as easy as possible. Ginny has put together an article all about Lasso MSA contracting. As far as the certification questions go, the agent training manual will cover everything you need to know. So, you're contracted... now what? Because the MSA is so unique and new, there is a marketing aspect that we can't ignore, especially if you want to sell this product to T65s. That's why the Lasso marketing team and the New Horizons team has developed so many different marketing pieces for you to use and customize. And yes – all of these have been approved by both Lasso and CMS! No matter what marketing route you want to take, we have a ready-to-go solution for you. Plus, if you're contracted to sell the Lasso product through New Horizons, we can customize the editable ones with your information. You do have the powerpoint/PDF presentations available to you, but if that's not your style, I encourage you to practice your presentation. I am free to assist anyone, whether it's over the phone, coming to your location, or something else, I can help you get your presentation down. Over the last few months, I've been able to hone in on what points really resonate with clients. We all know that too much information can be paralyzing, so I can help you cherry pick the important bits, such as the $0 premium and no networks. For example, many clients are floored that they can use this product at research hospitals like MD Anderson – details like those can help elevate this product to another level. We've also interviewed several producers who sold the Lasso product in the last AEP, and you can learn more about what worked for them. I know a lot of you have hundreds of clients. Inside your client list, there are people who are healthy. They'd appreciate the fact that there's a $0 premium product available that puts a deposit inside a special savings account on their behalf. In addition to that, there are 23 million Health Savings Accounts (HSAs) out there in the USA. A lot of them will be in your service territories. People are always looking for an avenue on how to utilize that health savings money that they've been tax favorably treated on in their pre-65 lifetime. Now, in the post-65 life, they have the absolute best answer. 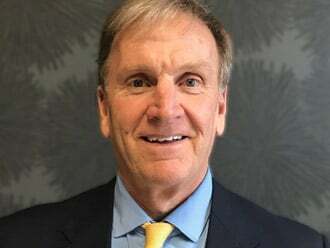 Many organizations across the country – State Farm, Caterpillar, Ameren – have retreated from providing healthcare benefits to the retiree and instead offer a stipend. A stipend being an amount of money they can utilize for premium, deductible, copays, and so on. There may be people in your book of business that have retired and are receiving a stipend, which can be utilized toward the difference between the deposit and the deductible! You've got a great plan where you're giving your people a $0 premium product and unlimited access to any Medicare-approved provider. If you're not sure how that stipend works, please contact me. In most cases, it's a perfect fit – even if you've previously thought those clients couldn't purchase a product that's not with the benefits company who contracts with the employer. We've done 4 videos on different sales scenarios, so take a look at those and come to understand the opportunities you have. Step 6: Write the Product! The e-app takes less than 10 minutes! It's as easy as going to the Lasso website, entering your Agent NPN, and filling out your client's information. You can watch a tutorial we created on how to do the Lasso e-application from start to finish. By the time you go through this and see how easy it is to go from Step 1 to Step 6, the Lasso Healthcare MSA product is one of the best tools you have in your arsenal.